Water levels and surface temperatures up for Lakes Michigan/Huron in 2016 (MSU Extension): Visitors to the beaches and boat launch ramps will notice both higher lake levels and earlier seasonal warming of the Great Lakes than in the past several years. The NOAA Great Lakes Environmental Research Laboratory shows that Lakes Michigan and Huron are the highest they have been since August 1998. What about the water temperatures? Again, they are well ahead of 2015 and well ahead of long-term average of Lake Michigan. Robot is on a mission to clean up Great Lakes shorelines (Great Lakes Echo): A robot designed by a maker in Toronto could soon be clearing up trash strewn across shorelines everywhere. The next step involves many more field tests throughout the summer and small revisions to the robot’s design. After those tests are complete, the robot will be deployed in August on Toronto Island in Lake Ontario to clean up the shoreline. There’s a lot of interest in the project because it combines robotics with environmentalism, creating a robot with a social impact. The dirty eight: Great Lakes pollutants targeted by U.S. and Canada (Great Lakes Echo): Canada and the U.S. recently announced they will develop and coordinate strategies to reduce exposure to eight contaminants they have designated as Chemicals of Mutual Concern in the Great Lakes. The designation made under the Great Lakes Water Quality Agreement also requires the countries to develop where needed the water quality standards for the pollutants. Can cormorants help control Great Lakes invaders? (Great Lakes Echo): Cormorants’ fish-stealing rep may be a bum rap – and the truth is more complex, as the first dietary study of cormorants in southern Lake Michigan shows. Researchers found the cormorants are chowing down on invasive species – mainly alewife, round goby and white perch – which together accounted for 80-90% of their diet. No studies to date have demonstrated that cormorants have a consistently negative effect on fisheries over broad geographic regions. A poweshiek skipperling butterfly. Photo by Dwayne Badgero. Two Prairie Butterflies Gain Endangered Species Act Protection in Minnesota, Wisconsin, Michigan and Dakotas (Center for Biological Diversity): The U.S. Fish and Wildlife Service announced yesterday a settlement to speed protection decisions for 757 imperiled plants and animals across the country. Among these are the Poweshiek skipperling butterfly, which survives in small numbers in Michigan. Autumn anomaly: Deepest Great Lakes’ levels rising (Detroit Free Press): The brutal winter of 2012-2013 is still impacting the Great Lakes this fall, contributing to rising water levels in Lake Superior and connected Lakes Michigan and Huron. In the fall, the Great Lakes typically have a slow decline in water levels. Lake Superior’s depths, however, rose almost a half-inch from Aug. 1 to Oct. 1, and Lakes Michigan and Huron rose almost two full inches. How climate change is transforming winter birds (Conservation Magazine): Data analyzed from the Project FeederWatch citizen science project as well as other bird survey and climate data indicate that bird species that prefer warmer weather are advancing north. Between 1989 and 2011, the average temperature index of species present at surveyed cites crept upward, meaning warm-adapted birds became more prominent. University spawns robofish to monitor Great Lakes (Great Lakes Echo): For about 10 years, Michigan State University engineering professor Dr. Xiaobo Tan has been working on a robotic fish that can be used to monitor water quality. The Great Lakes hold 20 percent of all surface freshwater on the planet, providing drinking water for 30 million people. The Lakes are home to a fishery worth $7 billion annually and multiple species, including threatened and endangered animals. The Great Lakes are crucial to the economies of the surrounding states. 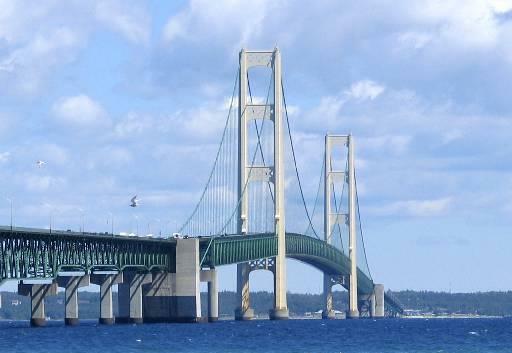 Recently, the National Wildlife Federation wrote an article about the old pipeline that runs under the Mackinac Bridge under Lakes Michigan and Huron. The pipeline is 60 years old and carries 22 million gallons of crude oil and natural gas fluids daily across the Straits of Mackinac. The 60-year-old pipeline is part of the Lakehead Pipeline System that carries crude oil to refineries in the Great Lakes region. “We are dealing with a 60-year-old pipeline in one of the most sensitive areas of the world, and it carries one of the dirtiest, most toxic types of oil on the planet – tar sands-derived crude,” said Andy Buchsbaum, director of NWF’s Great Lakes Regional Center in Ann Arbor. Tar sands oil is heavier than traditional crude, which increases the likelihood of ruptures because the pipelines are designed to transport lighter conventional crudes. Tar sands oil contains more cancer-causing chemicals, emits more greenhouse gases when burned, and is harder to clean up because it can sink in water. In the forests of western Canada, it has poisoned local waters, killed wildlife, and threatened human health. According to government officials, the pipeline (Line 5) crossing the Straits has never leaked. However, there is good reason to believe a rupture is possible in the future. The pipeline is partially owned by Enbridge, Inc., a Canadian-based oil transporter. The company has a history of careless maintenance and frequent oil spills. Recently, an Enbridge Partners pipeline ruptured and dumped 1 million gallons of tar sands crude into the Kalamazoo River. The spill sickened over 300 people, killed numerous fish and birds in the area, and disrupted the river’s ecosystem. The cleanup will cost an estimated $1 billion. Enbridge Inc. pipelines have suffered nearly 800 spills in the United States since 1999. The National Wildlife Foundation wants Enbridge to replace the 60-year-old pipeline, and they have also filed a petition asking the U.S. Environmental Protection Agency to stop shipments of tar sands-derived crude through any U.S. pipelines until safety regulations are improved. If the pipeline were to rupture, it would cause significant damage to numerous types of wildlife in Michigan. 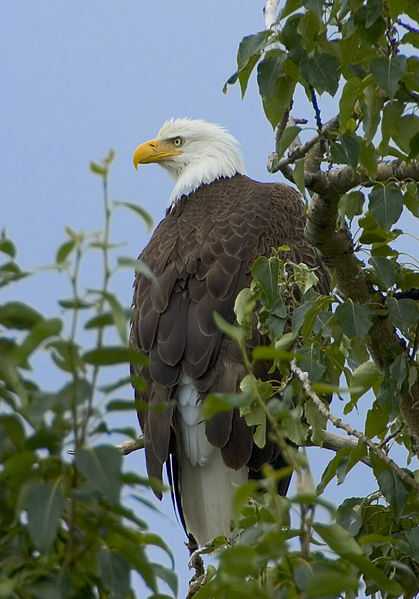 For more information, see the article that appeared in National Wildlife magazine. Peregrine falcons are establishing many active nests in urban Detroit. Peregrine falcon found injured in Detroit, being nursed back to health (Detroit Free Press): A female Peregrine falcon was discovered walking outside Cadillac Place in Detroit last Sunday, injured and unable to fly. Troopers contained the bird in a cardboard box before handing it over to a Rochester-area rehabilitation facility known as Spirit Filled Wings. 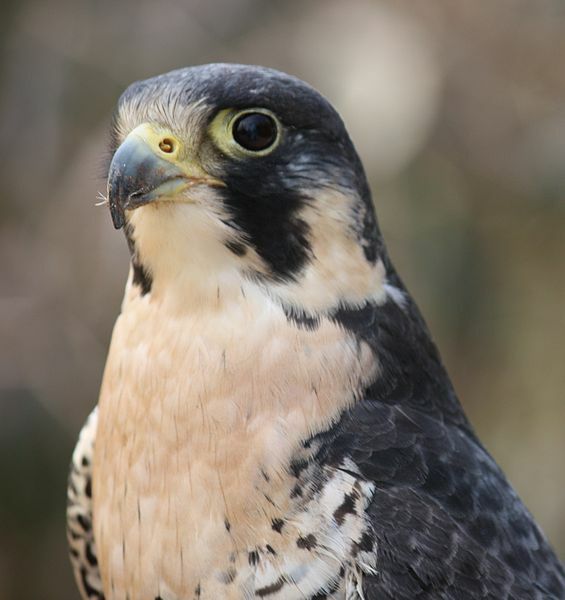 The peregrine falcon has been off the endangered species list for 14 years, with some of their most active nests in urban Detroit. Though rehabilitators are unsure as to whether it will ever be able to fly, the bird is expected to survive. Petoskey paddler set to circumnavigate fourth Great Lake (Petoskey News): Petoskey native Stephen Brede will set out on his canoe to circumnavigate Lake Ontario this week. Since 2009, Brede has circled three of the Great Lakes, paddling by day and camping by night. As an experienced camper, he has mastered a system of pitching a tent over his canoe and utilizing solar panels to charge his cell phone. Brede has yet to venture around Lake Superior, and is still considering the idea of challenging the massive lake. Macomb county commissioners oppose Ontario nuclear waste site on Lake Huron (The Voice): The Macomb County Board of Commissioners have unanimously voted against a proposed underground nuclear waste site on Lake Huron shores. The site was initially suggested by Ontario Power Generation, and was expected to take place near the Bruce Peninsula. In addition, the board’s resolution opposes all other underground repositories proposed in the Great Lakes Basin, Canada, the United States or any First Nation property. This specific resolution is the second that the board has passed opposing the dump, with the first resolution passed in 2008. Michigan State gets $14.1 million grant to study dioxins (mlive): A Michigan State University research team has been awarded a $14.1 million grant to investigate human health responses to environmental contaminants known as dioxins. Dioxins have been a prevalent issue in Michigan, as Dow Chemical Co. leaked them through water and air emissions through the 1970s. The chemical has been known to cause health effects such as chloracne and various reproductive issues. The Superfund Research Program of the National Institute of Environmental Health Sciences awarded the University with the five-year grant, which the team will use to study donated human cells and tissue. Wildlife officials remove arrow from Canada goose that drew attention in Michigan; bird is OK (The Washington Post): More than two months after it was first spotted, wildlife officials have successfully removed an arrow from an injured Canada goose in Bay City. At the time of its discovery, the Michigan DNR believed the injured goose was still healthy, and chose to leave the arrow. However, when DNR officials spotted the goose a second time while banding geese in the Bay City area, they took action. A biologist removed the arrow and bandaged the wound, releasing the bird back into the Saginaw River. U.S. lawmakers want national park on moon (Mother Nature Network): House Representatives Donna Edwards, D-Md., and Bernice Johnson, D-Texas, have pitched the idea for the Apollo Lunar Landing Sites National Historic Park, a national park on the surface of the moon. The park would protect artifacts left by Apollo missions from 1969 and 1972, which bill sponsors believe will be endangered with the expected growth of commercial space travel. Though the 1967 Outer Space Treaty restricts countries from claiming territory on the moon, the bill would only protect artifacts left by astronauts, not the land itself.